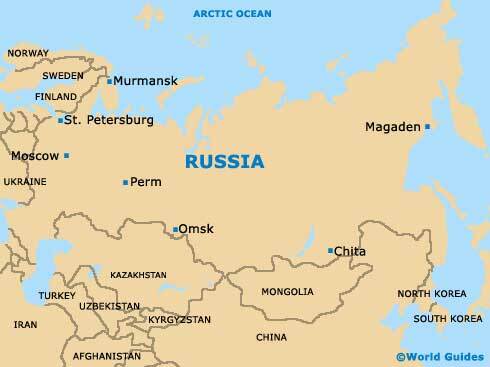 The Russian city of Tomsk is based around the Tom River and lies within the south-western part of Siberia (Siberian Federal District), bordering both the Tyumen Oblast and the Omsk Oblast. Tomsk is amongst the most historic of all the cities in Siberia and was founded at the very beginning of the 17th century, when a fortress was built on the actual riverbanks. 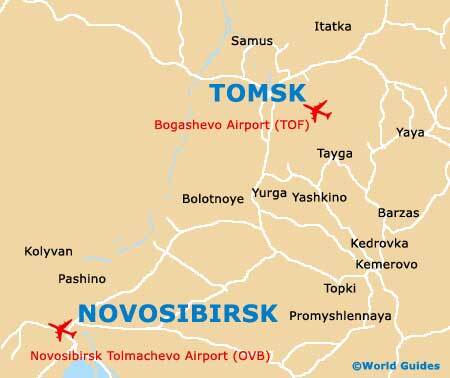 Both the bus station and the main railway station (Tomsk I) lie on the south-easterly side of the city and around 2 km / 1.4 miles from the actual centre itself. The main thoroughfare in Tomsk is the Prospekt Lenina, which is lined with a variety of shops, banks and eateries. Maps of the bus routes are available at the plentiful new kiosks within Tomsk's bus and railway stations, while maps of the city itself can be found within the bookshops on the Prospekt Komsomolsky and the Prospekt Kirova.